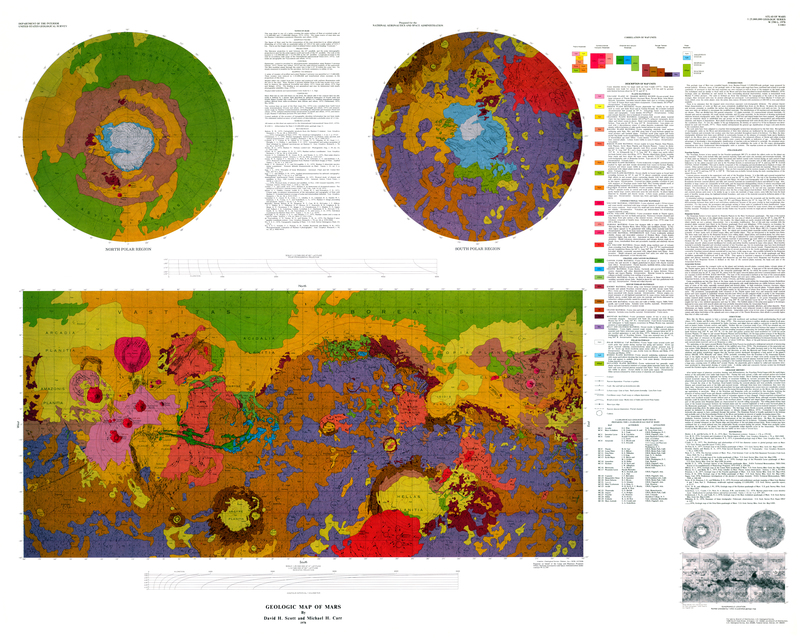 Today's Image of Mars is actually a few geologic maps from the Lunar Planetary Institute. These maps of Mars were created in 1978 by David H. Scott and Michael H. Carr. The data used to create these maps was compiled primarily from Mariner 9. Included with the map is a legend, which explains all the labels. Do keep in mind that this map is from 1978 so scientists have learned a lot about Mars since then. I just thought it would be great to let you get a basic idea of what a map of Mars would look like. This map is so large that I had to post it to my Pinterest account and use that link to upload the image, but clicking on this image is going to take you to the original image from the Lunar Planetary Institute. Just know that it might take a while to load because the image is huge.